As long as I can remember, one particular feature of Wexford is the ‘slow train from’ Dublin/ Rosslare that painstakingly travel along the Quay, a few times every day. Below are two sets of signage that flank the slow route (sometimes the driver extends it). 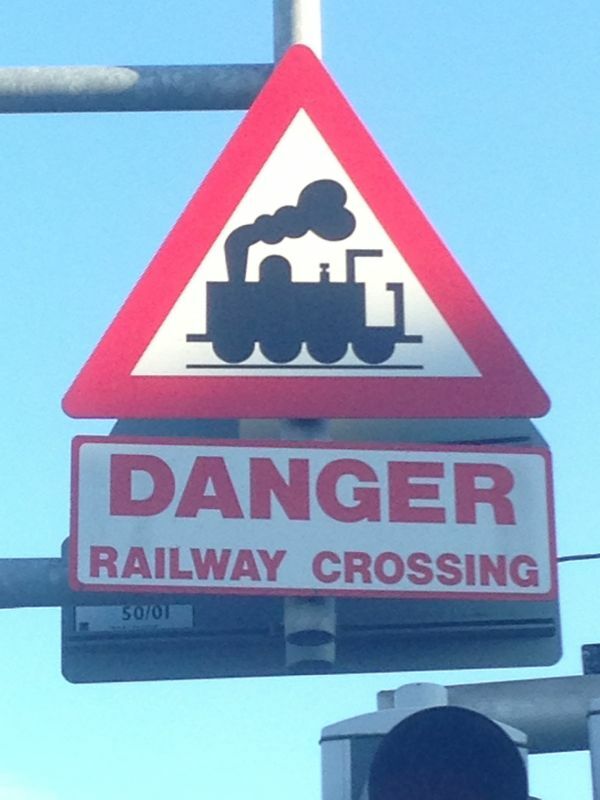 I love that the train depicted in the signage is a steam train style icon. Naturally it’s more recognisable, at glance, as a train than the round edged, wheeled, streamlined rectangle people commute in today. When I found wiggyattheweekend’s film shot while traveling along the Quay in the drivers cab of the train on the 21st of August 1989 I had to share. Enjoy the trip. 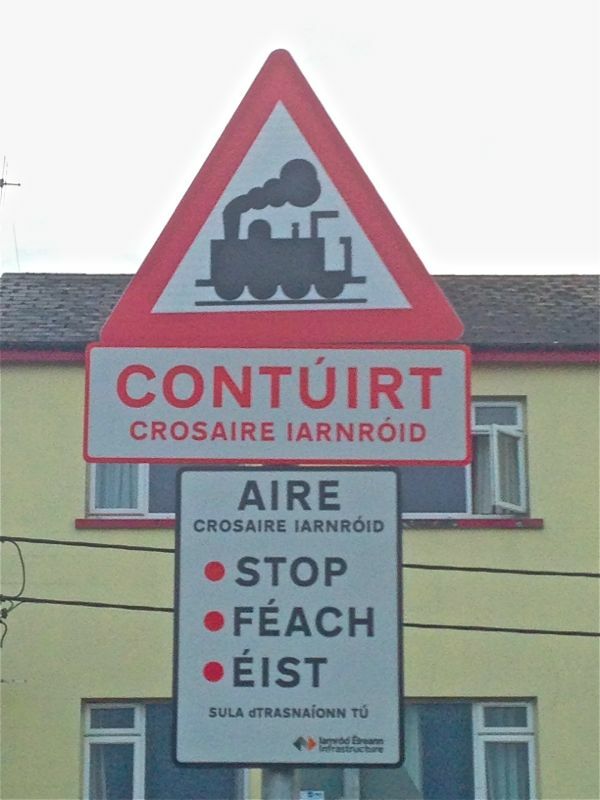 The level crossing lights and siren at Wexford Town, Ireland. The 07:20 Rosslare Europort to Dublin Connolly service (IE 22000 class intercity train) passes northbound through the crossing on its way into Wexford O’ Hanrahan station.